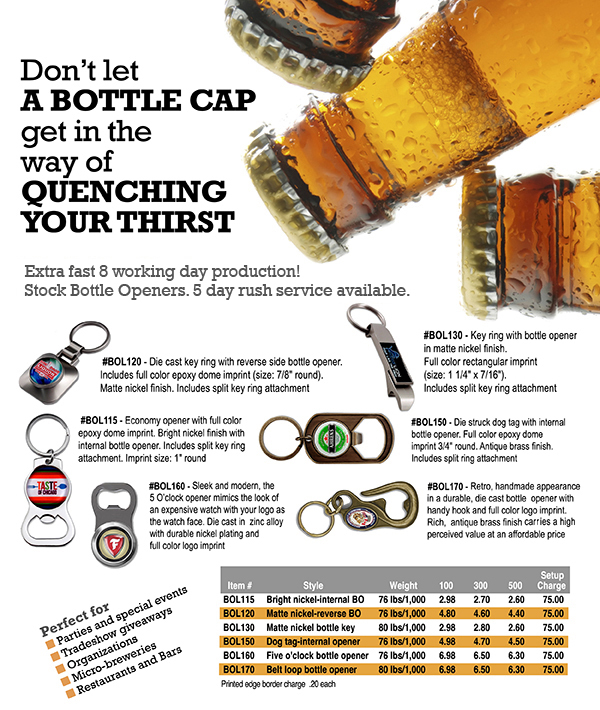 Purposes: Our stock bottle openers offer quality promotional items at an affordable price in only 8 working days! They are the perfect promotional item for parties and special events, tradeshow giveaways, organizations, restaurant and bar openings, micro-breweries, etc. Objective: To help successfully create a perfect opening night, setting the reputation for the night club into the future. Strategy: In a place like Miami, competition among high end nightlife is high. Some say the success of the opening night can determine the club’s future in the busy city. A new night club was opening and promotion was high to create a buzz around town. They wanted not only to create a reputation for themselves, but to keep people coming. They decided to use the high quality custom bottle openers throughout the night, and gave one to everyone on their way out. Results: Opening night was a huge success. The bar created a buzz around town and the bottle openers were popping up all over the city. They helped promote the bar for months as they were on people’s keychains, and the bar has been packed every weekend since they opened! Die cast key ring with reverse side bottle opener. Production Time is six working days, with a four working day rush service available. Indianapolis, IN- EMT, the 2013 & 2014 Distributor’s Choice for Jewelry, Emblems & Patches announced a new contemporary key tag line that will add four new key tags to the EMT product line. These new key tags are perfect for the following applications/industries: Real Estate, Automotive, Parties and Special Events, Tradeshow giveaways, Patriotic events, and Corporate Gifts. EMT is now offering samples of the new key tags with your shipper #. For more information, please visit: https://www.emteasy.com/pages/product-pages/keytags/speed.html. Immediate Shipping on all patriotic in stock items. 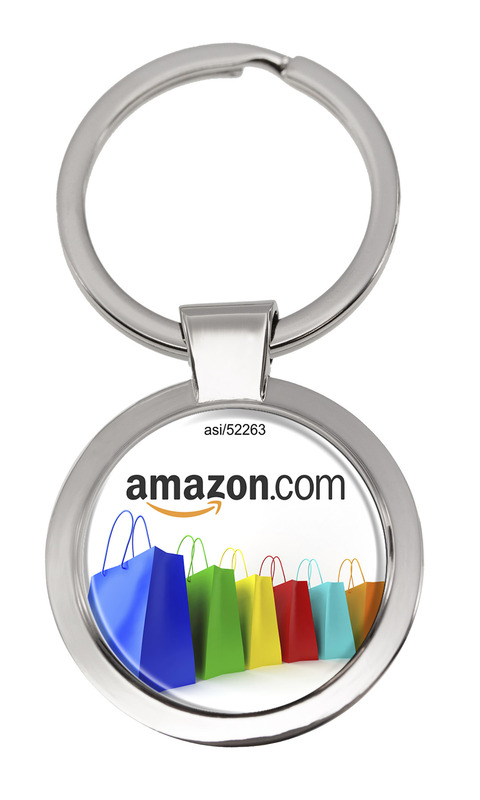 Choice of attractive key ring attachments in a variety of styles. 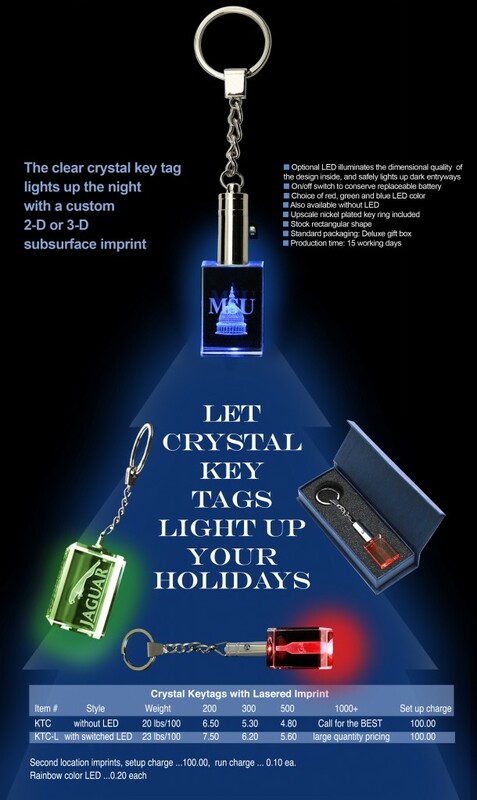 Let Crystal Key Tags Light up the Holiday Season! Objective: A branding gift for people who purchase a plate at an annual fundraising event for a non-for-profit that provides support and financial assistance to children in New York City. It’s paramount for the organization to find ways to continue to brand their name in a cost effective and practical way. Strategy: As a way to spread word about the organization, and to say thank you to sponsors at a fundraising dinner, the organization gave attendees a gift bag with a die cast zinc key tag inside. The dinner cost was $75, and other fundraising opportunities came up during dinner. The key tags—although they look very expensive—were very affordable (less than a $3 each), durable and distinctive. After the event, the organization was able to track at least $25,000 in donations to the key tags alone. Objective: Brand Awareness, Celebration of 20th anniversary, and also as part of a marketing campaign geared at gambling responsibly. 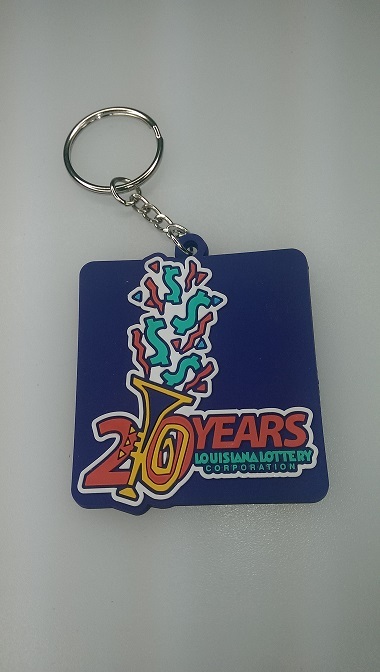 Strategy: As part of their 20th anniversary and conjunction with an a marketing campaign to promote “playing responsibly,” a state corporation lotto company passed out over 5,000 branded and colorful PVC Spectraflex® key tags throughout the state. The colorful key tags were a resounding success.